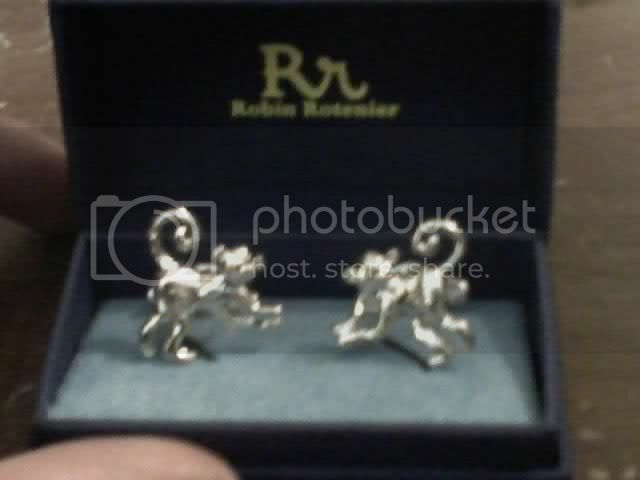 monkey cufflinks.. what'll they think of next. Discussion in 'The Lounge' started by shamrock, Apr 2, 2008. I ship mail orders for a hotel chain... Got in a shipment of monkey cufflinks at today. Sorry, it's the best pic I could get with my phone. Have them come up with the upside down monkey head ones and I'll buy. 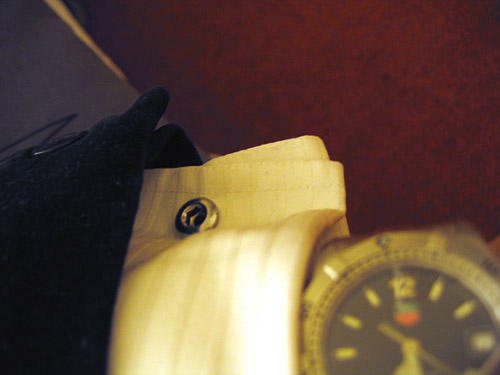 I used a pair of chainring bolts as cufflinks once. Worked well enough that those are now stored in my dresser rather than in my small parts box. Great idea, but I don't think management will go for it. I guess we'll have to resort to lopping the heads off & soldering em' upside down. That's really cool... looks sharp. I have a ridemonkey thong but it is very itchy after using the bedazzler on it. My wife bought me these a couple of years ago.